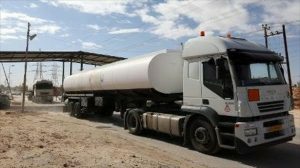 Fuel supplies to Sebha have been stopped following today’s suspected IS terrorist seizure of two fuel trucks south of Sirte as the vehicles made their way from Zawia to the south. The Fuel and Gas Crisis Committee (FAGCC) has decided that fuel movements cannot continue until the Presidency Council (PC) and the local authorities in the area secure the route to the south. The FAGCC said that one of the drivers escaped but the fate of his colleague is not yet clear. It noted that the identity of the attackers was unknown but it was thought they were IS terrorists who, since their ejection from Sirte last year, are known to be operating in the countryside south of the town. The two tankers were carrying 100,000 litres of fuel. The seizure of this cargo will not only disrupt much needed supplies to the south of the country but, if the attackers were indeed terrorists, would also allow them to replenish their fuel supplies. However, one observer pointed out that given the current anarchic state of fuel movements, it was possible that the vehicles had been seized by fuel smugglers rather than terrorists.